For superior hair quality, work hand in hand with WELLAPLEX for even longer-lasting soft bouncy curls. Pin-up Original Full Head Lasting Perm for all over curls, body and bounce. For all hair types, especially suitable for hard to perm hair. Just follow Pin-up's styling guide, with easy to follow step-by-step instructions, for simple perming and lovelier hair. Pin-Up End Curl Lasting Perm for Short Hair Kit 55ml. Comair Drahtwickler 65 mm / 40 mm blau. Comair Nackenwedel Jumbo schwarz/gold Nackenpinsel. Comair Color Augenbrauen- und Wimpernfarbe naturbraun 15 ml. RefectoCil A/W-Farbe 1 tiefschwarz 15 ml Augenbrauenfarbe Wimpernfarbe. Clynol Stylewave perm 0. Mild Alkaline Perm. Fine / Difficult to perm hair. For fine to difficult hair. 0 for Fine to Difficult hair. Added vitamin C nourishes the hair throughout the process for healthy hair from within. 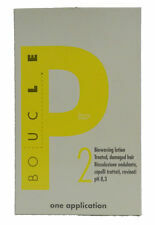 Feels So Lively Tinted perm yields easy-to-manage texture and long-lasting curls. The gentle, exothermic waving lotion evenly penetrates the hair to create beautiful, conditioned curls. No test curl needed. By Goldwell. Box of Goldwell Endpapers. Box of 500. Cheques will have to clear prior to despatch. Goldwell Professional Perm. Professional Use Only. 2 (porous/tinted hair). It is especially great for normal, tinted or lightly highlighted hair. Acclaim Perms. For normal, fine or tinted hair. Amazon Fresh Hair Supplies. Cheques will have to clear prior to despatch. Model : E. GLAM DOWN PERM. 2019 New Version. Video will open in a new window. Orean Waveology Xotica Perms. Get an individual and natural look from this fruity perm with "waveology" for normal–resistant hair. Professional Perm. Cheques will have to clear prior to despatch. For individual natural look. L'Oreal Dulcia Advanced 0 - 75 ml. Eventuell ist es notwendig zum Betrieb einen entsprechenden Adapter zu verwenden. Eine nachträgliche Reklamation ist nicht möglich. Die auf den Batterien abgebildeten Symbole haben folgende Bedeutung: Das Symbol der durchgekreuzten Mülltonne bedeutet, dass die Batterie nicht in den Hausmüll gegeben werden darf. Loreal Dulcia Advanced Perm. This new long lasting fortifying texture service fuses together Dulcia Tonica and DV2 to give you the great benefits of both products. Professional Perm. This kit includes: Neutraliser 100ml Perm lotion 75ml. Londa Londalock Welllotion N/R 75 ml. RefectoCil A/W-Farbe 1 tiefschwarz 15 ml Augenbrauenfarbe Wimpernfarbe. RefectoCil A/W-Farbe 3.1 lichtbraun 15 ml Augenbrauenfarbe Wimpernfarbe. RefectoCil A/W-Farbe 2 blauschwarz 15 ml Augenbrauenfarbe Wimpernfarbe. Styling Biolife Perm System by Goldwell is for different types of hair. Biolife X is for difficult to perm virgin hair. 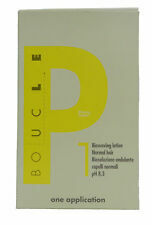 Also ideal for resistant, coarse, grey or very greasy hair. Professional Perm. Styling Biolife Perm System by Goldwell is for different types of hair. Biolife 1 is for normal, fine, toned, tinted and subtly highlighted hair. Professional Perm. Professional Use Only. Design Freedom Tinted perm gives you creative flexibility. Water wrap for delicate hair or for soft, open curls. Lotion wrap for thick and resilient hair or for firm and defined curls. Design Freedom Tinted’s AHA enriched neutralizer with GFE leverages natural grapefruit acids to lock in curl while providing both shine & manageability. Goldwell Professional Perm. Professional Use Only. Design Freedom's improved formula features an Alpha Hydroxy Acid enriched neutralizer with Grapefruit Extract. The natural fruit acids close the cuticle after perming to help lock in the curl while improving both shine and manageability. Echos Line ®. Ki Power ® ECHOS LINE. ECHOS LINE ®. after shampooing dab the excess water, wrap the curlers and evenly saturate all strands starting from the nape. Leave on for 10 to 20 minutes, checking the curl. Goldwell Styling Biolife Perm System Biolife X. Condition is New. Colour:Biolife X Styling Biolife Perm System by Goldwell is for different types of hair. Biolife X is for difficult to perm virgin hair. Also ideal for resistant, coarse, grey or very greasy hair. Biolife 1 is for normal, fine, toned, tinted and subtly highlighted hair. Biolife 2 is for highlifted, bleached, heavily highlighted and very porous hair. Goldwell Professional Perm. Professional Use Only. 0 (strong/normal hair). Styling Biolife Perm System by Goldwell. Biolife 2 is for highlifted, bleached, heavily highlighted and very porous hair. Professional Perm. Professional Use Only. Long lasting firm curls. For all hair types. Advanced formula designed to work with differences in hair porosity. Amazon Fresh Hair Supplies. Cheques will have to clear prior to despatch. 10-11-2017 17:17:15. Colour:Biolife X Styling Biolife Perm System by Goldwell is for different types of hair. Biolife X is for difficult to perm virgin hair. Also ideal for resistant, coarse, grey or very greasy hair. Biolife 1 is for normal, fine, toned, tinted and subtly highlighted hair.